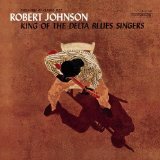 King Of The Delta Blues Singers is ranked as the best album by Robert Johnson. Members who like this album also like: Highway 61 Revisited by Bob Dylan, Kind Of Blue by Miles Davis and A Love Supreme by John Coltrane. Related links: top tracks by Robert Johnsontop tracks of the 1960s, top tracks of 1961. Showing latest 5 ratings for this album. | Show all 328 ratings for this album. Related links: top albums of the 1960s, top albums of 1961. Only discovered this amazing collection 15 years ago very deep south sounding but blues thru and thru . There's been more than 20 years that I started listening to R. Johnson. I never get tired of this. It's so deep. Just the best blues ever recorded. Historically there is no doubt that this is a very important recording. Fans of blues music in particular owe it to themselves to check this out as the undeniable starting point of recorded blues music. All the acclaim and legend surrounding this collection is true, and anyone who is interested in American music really should start here. A word of caution to the uninitiated, though: Robert Johnson did not play the electric blues which are the staple of modern American blues and the roots of Rock n Roll. This is acoustic blues music. Arguably the most important body of work in the history of contemporary music. From an anthropological standpoint, this is the missing link. Virtually every significant rock artist can trace their roots back to here...whether they know it or not. These are essential rural blues recordings that continues to inspire people all over the world. Thank you John Hammond for re-discovering this musician and helping influence musicians like Bob Dylan, Eric Clapton, and The Rolling Stones, Led Zeppelin,Fleetwood Mac, and Red Hot Chili Peppers. This is raw blues played by an amazing performer. The greatest pure blues album and pure blues artist. All other blues albums and artists owe a huge debt. Wouldn't say that blues is my particular genre but this guy was doing what everyone else, 20 years before all of them, this album is the true testament of almost anything ever recorded, I simply fell in love with it plus damn this guy can play the guitar, Would anyone recomend the second volume? ?